Firm - Provides stable, lower-back support. Ideal for back sleepers. Plush - Provides soft, pressure relief. Ideal for back or side sleepers. Super Plush - Provides added cushioning for pressure relief. Ideal for side sleepers. 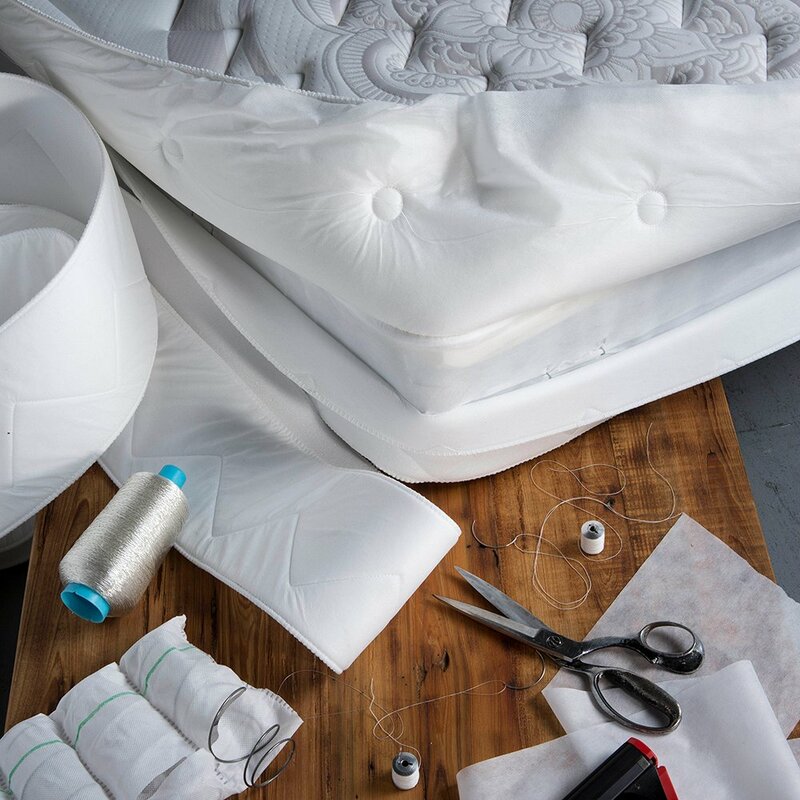 For those who find their ideal comfort in a traditional innerspring mattress, discover Karma Moon… an exceptionally designed mattress with a supportive sleep surface. The comfort layer features Everlast™ and CertiPUR foams. 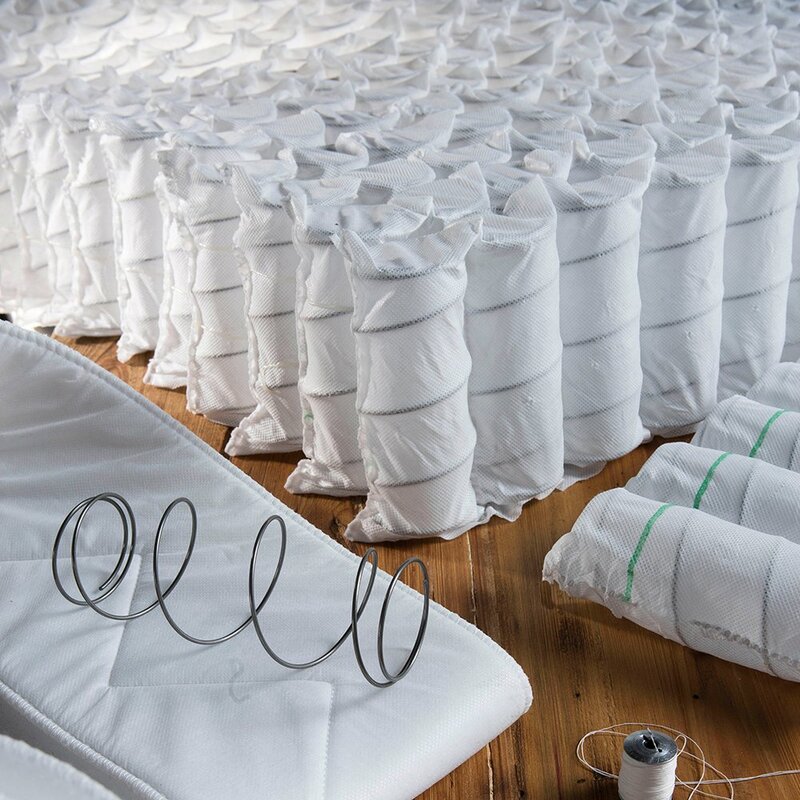 Each mattress incorporates unique-geometry pocketed coils that create more bounce for added pressure relief and features our patented, double wrapped KarmaCoil. The Karma Moon mattress creates a level of lasting comfort not found in ordinary innerspring mattresses. Uncover one today.Guaranteed for 10 years, Warrantied for 20 years. Unique-geometry pocketed coils designed to create more bounce and added pressure relief. 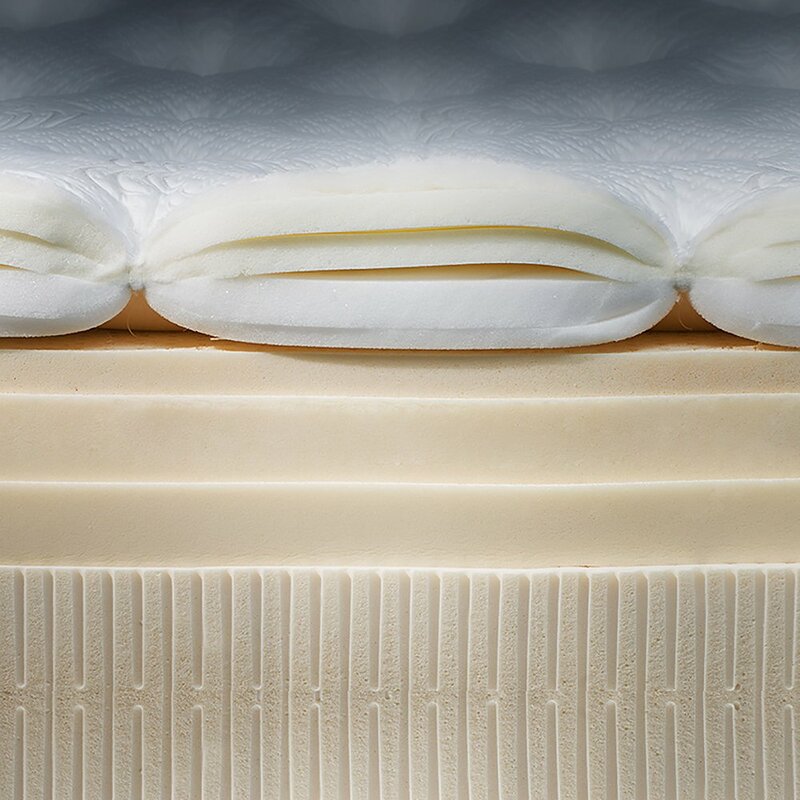 Differing densities of our proprietary Performance Talalay latex and Everlast™ foams in varying support levels. Breathable top layer of luxury fabrics expertly combined with specialty foams. 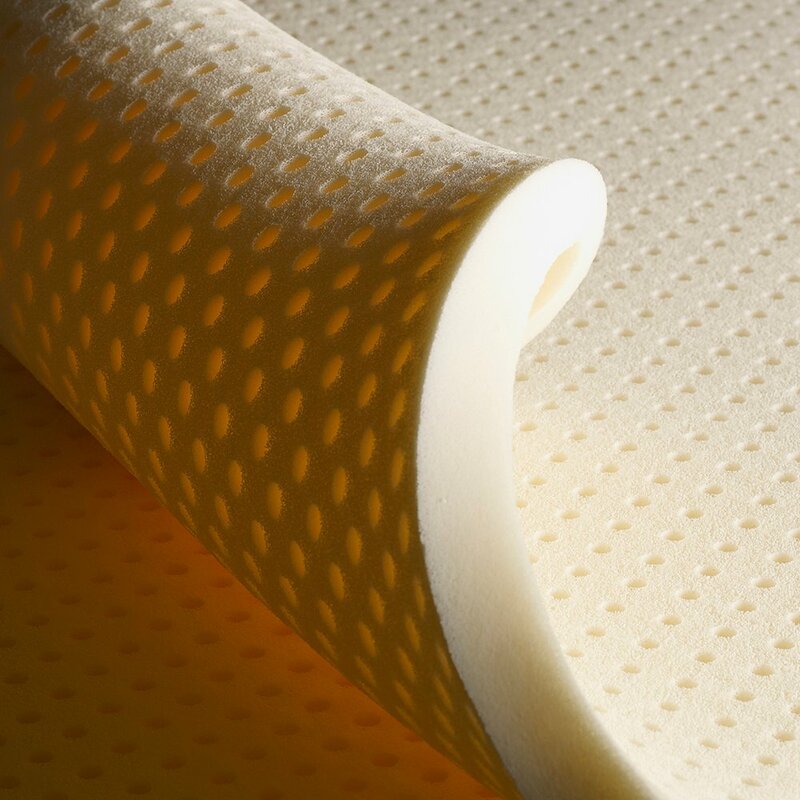 Carefully wrapped with durable non-woven fabric to gird and stabilize the mattress. Customized pressure relief and support. Complete your mattress by pairing it with the perfect base. Made in the USA with premium-grade spruce wood for a stable, solid support structure. The fabric covering is quilted and completes the modern, aesthetic of the set. The pressure-relieving support of bowed beech-wood slats are combined with all the features and comforts of a personal adjustable foundation that can be customized for the ultimate night's sleep! Powered by a quiet AC motor system, our Adjustable EuroSlat foundation features programmable positions and a deluxe massage feature, all controlled from a wireless remote. The emBrace is a designer bed frame with contoured side rails, tapered legs, and a superior rail steel construction establishing the emBrace as the vanguard of bedroom fashion. Available in black, brown, gray, or white, the emBrace will enhance the appearance of your bedroom and provide a stunning platform for your luxury mattress set. The perfect mattress needs the perfect pillow. Rest your head on cloud of dreamy support! The PranaSleep® Latex Pillow provides the perfect level of cradling comfort to keep your neck and spine properly aligned throughout the night. To determine your size, measure the distance from the outer edge of your shoulder to your ear along a horizontal line. Naturally hypoallergenic, mold resistant, mildew resistant and dust mite resistant. The Pranasleep Organics Pillow is made of all natural Talalay latex and organic cotton. With a medium firm comfort and 4" pillow thickness it is the perfect way to complete your Pranasleep sleep system. Made in the USA. The Pranasleep Organics Pillow also come with a handy back-pack style carrying bag for travel. I love my new mattress. Anthony was the salesman who waited on me and he certainly knew his merchandise. I would recommend City Mattress to anyone needing a new bed. We haven’t slept on this mattress very much, as it’s not at our primary residence, but getting into bed at night it is like crawling into a cloud. We like a more firm mattress, and though it’s not nearly as firm as our tempurpedic at home, it’s definitely not soft. Great experience buying also! This bed has been amazing. It is the perfect level of softness for both of us. I sleep on my side so I need a softer mattress and my boyfriend sleeps on his back so he wants something slightly firmer. This mattress is perfect for both of us. Matress is very comfortable. Love the rounded edges and softness without the sinking feeling of memory foam. Highly recommend this product!